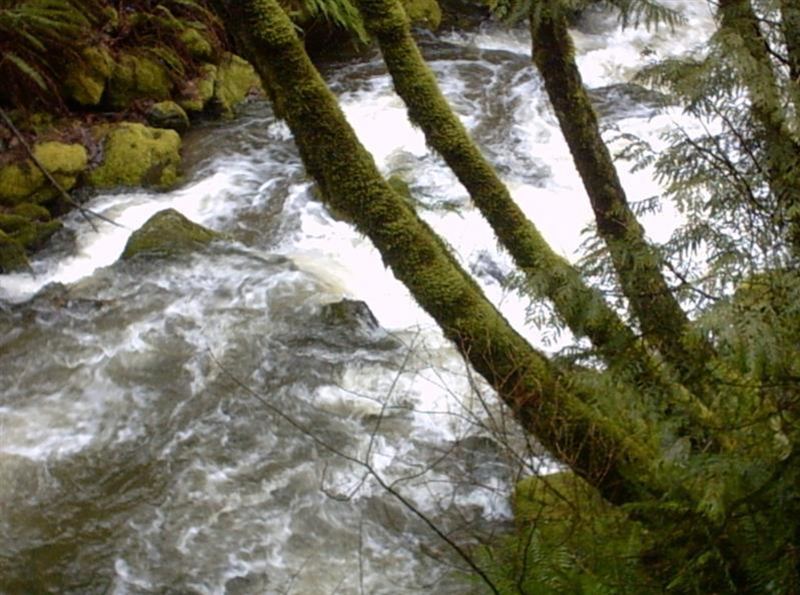 The trail to Chuckanut Falls is a serene hike and casual run that features a small cascading waterfall near the northern mouth of the Chuckanut Mountains. Meandering above Chuckanut Creek, Chuckanut Falls is a small - but extremely pretty and peaceful - waterfall. The hike/run is short and sweet. No more than 2.5 miles from the Northern Chuckanut Mountain Trailhead, take a left up from the parking lot and head into Arroyo Park. The uphill turn to your right is the lower beginnings of the Hemlock Trail. Follow these single-tracks up as they loop back and forth up the gentle slope before mellowing out. 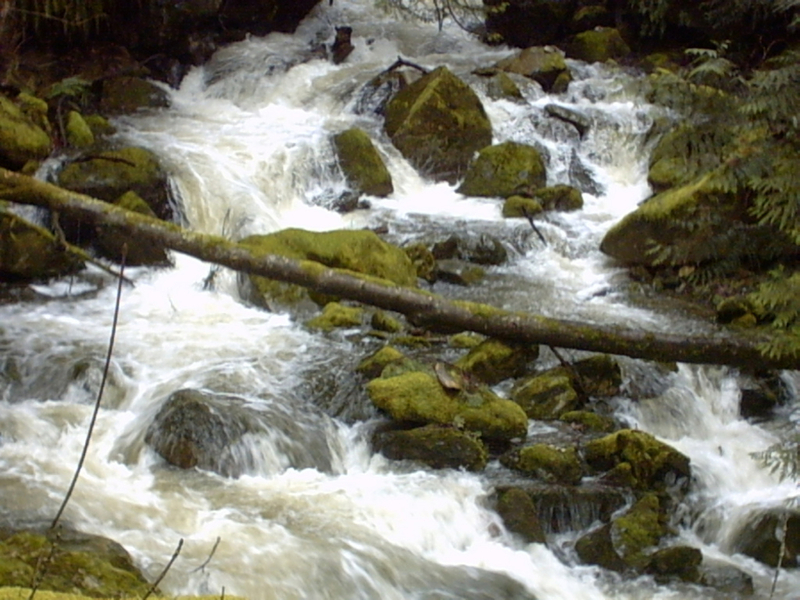 Shortly, you will see a sign pointing down a trail that goes off to the left of the Hemlock single-track: as it is signed, this is your turn for the Chuckanut Falls. Follow the trail down until you read a fenced, natural platform. Voila! You're sitting peacefully, undisturbed, at a beautiful waterfall. A trail can take you down to the water. All said and done, it's a short and sweet hike, perfect for mornings. Runners looking to run longer can start their run earlier on the Interurban Trail, continue through Arroyo, and arrive at Chuckanut Falls. The North Chuckanut Mountain Trailhead is between Old Samish Road and California Street off of Chuckanut Drive. Heading south from Bellingham on Chuckanut Drive, it takes 5-10 minutes, and is nearly impossible to miss. Parking is free and plentiful. There is another parking lot if you choose to take the left onto Old Samish Road, about a quarter mile further, though this parking is limited. One might only use this trailhead if they wish to run through the other side of Arroyo Park, cross the bridge and head up...the first available left turn after crossing over the creek is the beginnings of the Hemlock/Lost Lake trail, and will take you to the Chuckanut Falls turnoff.